Reiki Healing is sent to specific or nonspecific location. 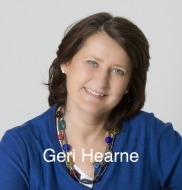 Geri is a Reiki One Practitioner. She was certified on December 1, 2011 in Chicago by Joanna Albrecht, Reiki Master. Geri offers distance energy healing. She is a conduit for the sacred symbols channeled through Japanese Buddhist, Dr. Mikao Usui on Mount Kurama. The symbols were codified in 1922. The symbols, when meditated on, offer energy attunements. Geri also invokes the emerald green healing energy of Archangel Raphael, known throughout the centuries to offer physical, mental and emotional support as well as spiritual help to seekers. Geri charges $40 per session.